We come together in women’s community to put our hearts and souls in motion, to dance for ourselves, each other and our world. Now is the time! Leave your shoes at the door, as well as any self-judgements, self-criticisms and negative beliefs about your body – to experience your beauty, your strength and your vitality. We will generate an individual and collective dance that will help us all move back out in the world feeling more connected, present and balanced in the days ahead. 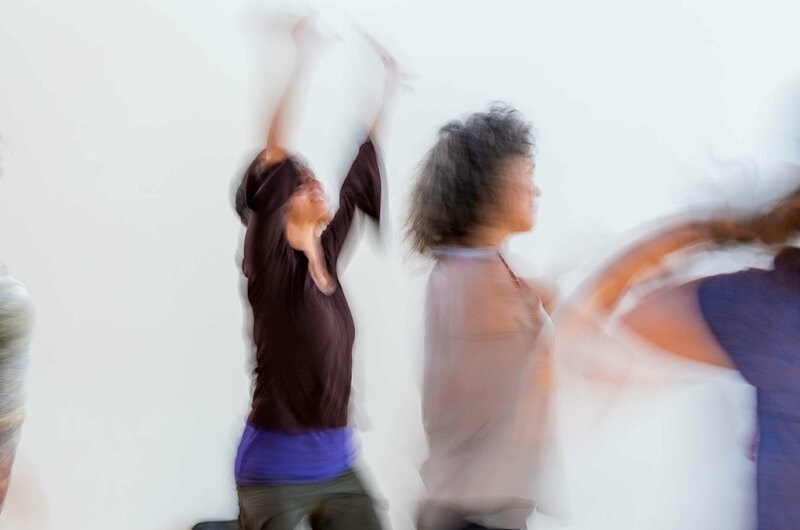 Join us to explore dance as an avenue for learning about yourself and your relationships. Practice on the dance floor how you want to move through your life…with more love, joy and compassion for yourself and others around you. Be guided into expressing your dance, your way – slowing down, paying attention and following what awakens and inspires you, what connects you deeply with yourself, others and the world around you. Fall in love with your body…in movement and in rest, in sound and in silence, alone and together. Explore the transformative power of your own unique, beautiful dance as a vehicle for meditation, renewal, and self-expression. Drop-ins are welcome. A suggested donation of $15-20 may be made in person or in advance via PayPal.